As I reflect back on this Christmas I realize that it’s the little things that made it feel so RIGHT to me. I want to share those little things that mean so very much to me and maybe they mean a lot to you too. I have studied you and I know what you like! I gave you some bright socks so you could have them for a conversation piece with your girls. Because you are always losing your glasses I looked through about 50 pairs at the store to find just the right ones with the cuteness factor. 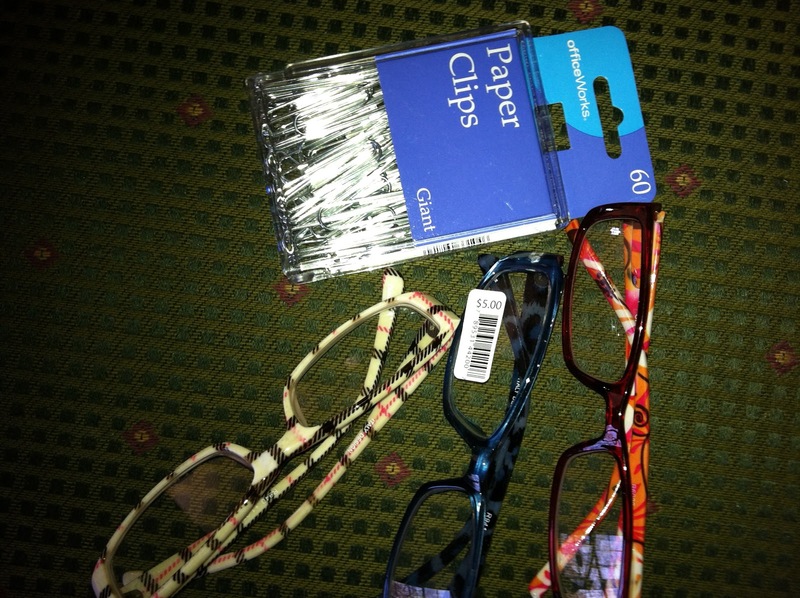 I am always looking for paper clips so I knew we needed them. And I picked out just the perfect jelly bellies that I knew you would like with soda fountain flavors and ice cream sundae flavors and popcorns. And then the all time favorite Twizzlers. Well, he was right. 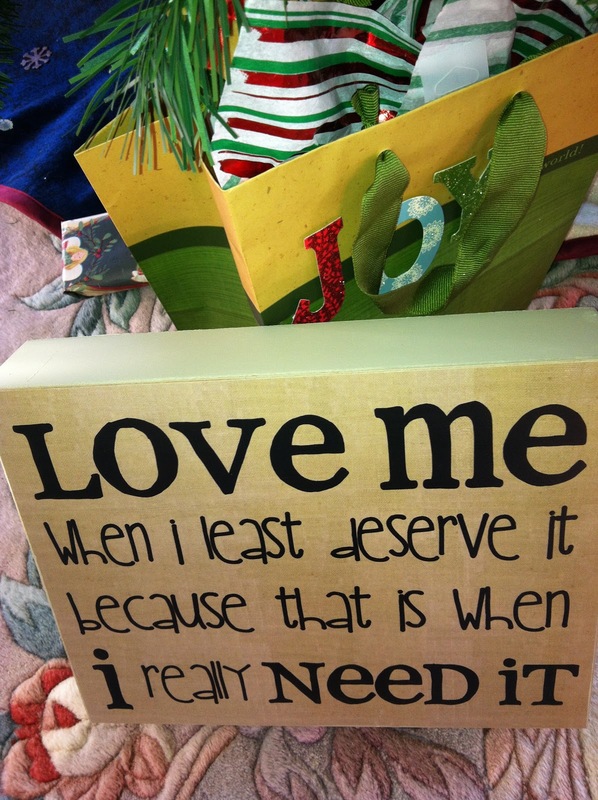 It brought a smile to my eyes to see that he went out of his way to find just the right things for my stocking. That meant more to me than even the gifts that he gave me (and I really like them). 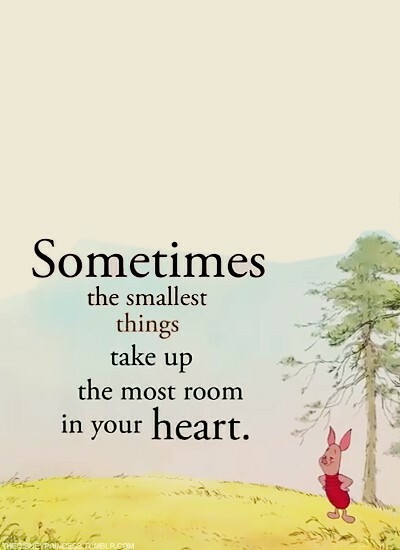 It is the little things that we do that can hurt the most too. The little words we say or just the insinuations or the tone of voice. The little things build up and make the walls that cause relationships to grow apart. The other little thing was what our kids did for me. Jennifer our oldest made the cutest apron for me. It means so very much to me, because as you see it is showing one of the bestest parts of watching our children grow up, they give me grandchildren. I don’t think it cost a lot but it was made out of love. 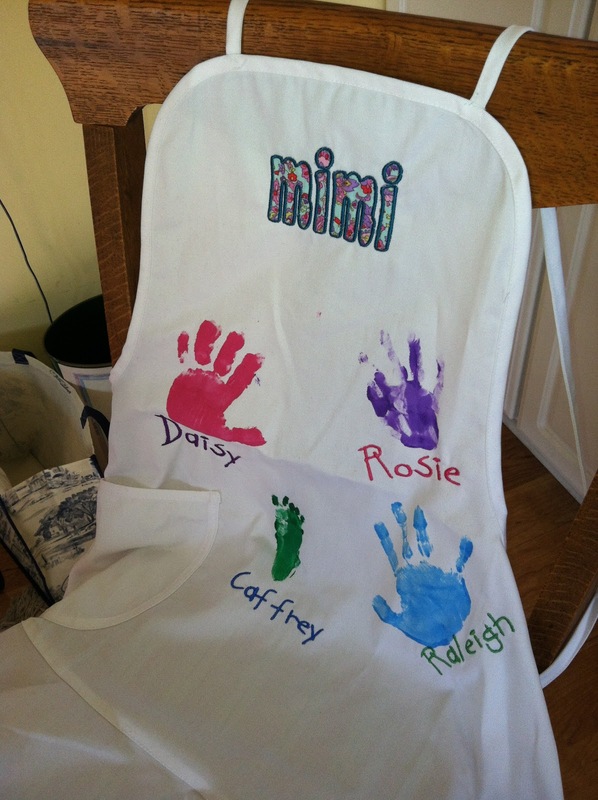 I love being a Mimi and I love that she and the other parents in our little group went to the trouble to put these precious hand and footprints where I can remember this is why I do so much of what I do. And last of all is the time with family. That those who could, would come and spend the time with us. As they get older and have families of their own I know it is difficult to share the time with so many different people, especially when you are in a stepfamily situation. So their time was precious. My husband was very generous in sharing both my family and his family so that my mom and his parents could enjoy all the kids. To have four generations of a family in one room together is very special. John and I were blessed to share this time with so many generations. As we look to the future, remember that it’s the little things that matter, both good and bad. We may not think they are important but they are. Stockings are always a lot of fun. I’m glad you liked your apron. Anne Marie had a great idea, right?